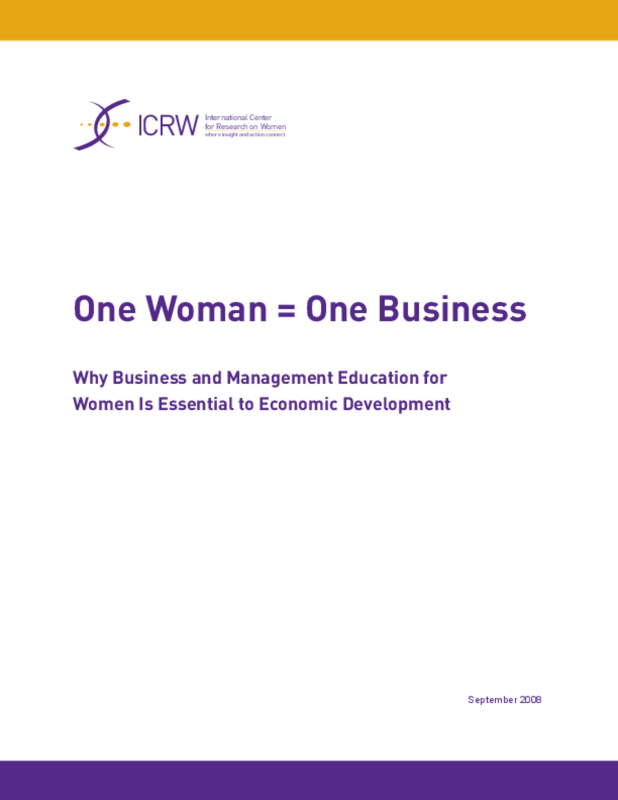 This document presents information about how accessible, quality business and management training is essential for women entrepreneurs to develop and lead their businesses beyond MSE levels, and for women to take on managerial responsibilities in larger enterprises. Many women need this support to gain the confidence, freedom and opportunities to try new ways of doing business - and targeted business and management training programs may be the most effective way for women in developing countries to build these skills. Copyright 2008 International Center for Research on Women (ICRW).